A mechanic’s lien is an encumbrance on the title of real property filed by an unpaid contractor, subcontractor, material supplier, or other laborer (claimant). Because a claimant cannot rescind the work or improvement they have contributed to a property, a recorded lien that attaches to the owner’s title is the best form of redress for unpaid work. When a lien is recorded against a property, the owner may have difficulty selling, borrowing, or refinancing the property until the lien is released. If unpaid, alien may force foreclosure action. Lien law is complex and varies from state to state. 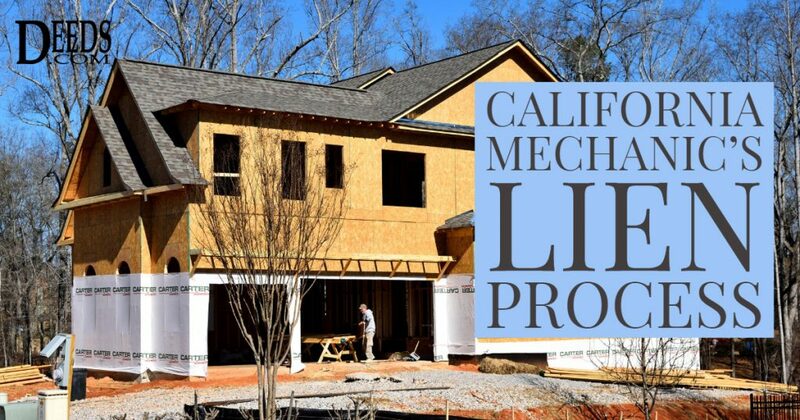 In California, mechanic’s lien laws are codified at California Civil Code sections 8000 to 9566. Subcontractors and laborers must deliver to the owner and to the construction lender, if any, a preliminary notice of right to lien within 20 days of first furnishing labor, materials, services, or equipment. If a preliminary notice is served later, the claimant’s lien is limited to the labor, materials, services, or equipment furnished within 20 days’ service of the late notice and any labor furnished thereafter. If a claimant fails to provide notice, they lose the right to lien . The preliminary notice under Cal. Civ. Code 8200 et seq. can be delivered in person or mailed. The law also provides that notice can be recorded “for the limited purpose of facilitating the mailing of notice by the county recorder of recorded notices of completion and notices of cessation” (Civ. Code 8214). According to law, the preliminary notice is maintained under a separate index, apart from constructive notice documents; it does not constitute such notice to any party when recorded. Lien releases, executed by potential lien claimants, function as receipts once the claimants have received payment from the owner. California establishes four statutory forms for waiver and release of lien: conditional waiver on progress payment, conditional waiver on final payment, unconditional waiver on progress payment, and unconditional waiver on final payment. To be effective, the waiver and release forms must follow, substantially, one of the forms set forth in Civil Code sections 8132, 8134,8136, and 8138. By executing a waiver according to the appropriate statutory form, the claimant releases its lien, stop payment, and payment bond rights, but they vary in the extent to which rights are waived. Waivers may also carry exceptions explaining the rights not waived by the document, such as disputed claims, progress payments for which a waiver has been granted, but no payment has been received, or contract rights. Consult a lawyer to determine which waiver is appropriate for your situation. Under Cal. Civ. Code 8182, an owner can record a notice of completion at any time up to 15 days after the date of completion on a work of improvement. The notice of completion is an important document, as it limits the time a claimant is allotted to file a claim of lien. A direct contractor has 60 days after the filing of a notice of completion to file a claim of lien. If no notice of completion is filed within 15 days of completion of the project, the contractor has 90 days to file a claim of lien. In California, a notice of completion may relate to the completion of a contract for an improvement as a whole, or a contract for a portion of work. The notice is signed and verified by the owner, who is the person (or persons) with titled interest in the property, regardless of whether or not they occupy it. Within 10 days of recording the notice, the owner must serve copies to the direct contractor and any claimant who has given the owner preliminary notice of a right to lien. Failure to give notice to the direct contractor or a claimant, where required, that a notice of completion has been filed within 10 days of recording it renders it ineffective to shorten the length of time a contractor has to file a claim of lien. The method of serving notice on the requisite parties must comply with Section 8100 of the Civil Code. A claim of lien is executed by the claimant and filed in the recorder’s office of the county where the work site is located. A copy of the claim of lien must be delivered to the owner by mail, and proof of service, signed by the person serving the claim of lien, must accompany the recorded lien document, along with a statutory notice of mechanic’s lien. A direct contractor cannot enforce a lien unless a claim of lien is filed within 90 days after completion of work, or within 60 days after the owner records a notice of completion (Civ. Code 8412). A claimant other than a direct contractor may not enforce a lien unless the claimant records a claim of lien after ceasing to provide work, or before the earlier of the following times: Ninety days after completion of the work of improvement, or thirty days after the owner records a notice of completion or cessation (Civ. Code 8414). Once a lien is in place, a claimant has a bargaining chip to induce payment by the property owner. However, obtaining a lien alone will not always guarantee payment. In California, a mechanic’s lien is only effective for ninety days and will expire thereafter (Civ. Code 8460). Therefore, a claimant must bring an action to foreclosure a lien within ninety days of filing. An action to foreclose a lien is a civil action, following the law set forth for enforcement of liens established at Civ. Code 8460-8470. The claimant must file a complaint to foreclose and serve notice of the complaint on the owner and any other claimant who has filed a lien notice. It must also file a pendency of action in the office of the county recorder (Civ. Code 8461). If the value of the property is insufficient to pay all claims, the law establishes lien priority, or a claimant’s right to payment in comparison with other creditors. Many states favor “first to file” lien laws, with some caveats. This means that, typically, mortgage holders are favored and liens become second in priority during a foreclosure. California’s lien priority law is codified at Civ. Code 8450. In California, a lien has priority over a mortgage, except when a payment bond that refers to the mortgage is recorded in an amount not less than 75 percent of the principal amount of the mortgage (Civ. Code 8452). According to the Contractors State License Board for the State of California, the best way to prevent mechanic’s liens is to carefully choose contractors, obtain a list of all subcontractors and labor suppliers used by the contractor you select, verify that your contract includes a payment schedule, and ensure that the property parties are paid for their work and that the work is done as described . More resources are available for consumers at the Contractors State License Board website. Mechanic’s lien laws are complicated, and mistakes or oversights can be fatal to lien rights. Make sure to understand the different notices and their time limits. Finally, contact an attorney with specific questions, for complex situations, or about any other issues related to real property in California.